For as long as I’ve lived in the UK and have known about the annual horse races I’ve always wanted to attend one. Of course like so many other annual events that happen one can forget to buy your tickets in advance before it’s too late. Luckily earlier this year a friend reminded me about the Royal Ascot. I promptly booked our tickets for Saturday, the 18th of June for the Queen Anne Enclosure. Ascot Racecourse is a British racecourse, located in Ascot, Berkshire, England, which is used for thoroughbred horse racing and is one of the leading racecourses in the United Kingdom. The Royal Ascot is the centrepiece of Ascot’s year and dates back to 1711 when it was founded by Queen Anne. Every year Royal Ascot is attended by Elizabeth II and other members of the British Royal Family such as The Prince of Wales, arriving each day in a horse-drawn carriage with the Royal procession taking place at the start of each race day and the raising of the Queen’s Royal Standard. It is a major event in the British social calendar, and press coverage of the attendees and what they are wearing often exceeds coverage of the actual racing. There are 3 enclosures: The Royal Enclosure, Queen Anne Enclosure and Windsor Enclosure. The Royal Enclosure is a members only area. The other 2 areas provide different experiences and the ticket prices for these 2 areas vary with the Queen Anne Enclosure being the more expensive area. There is also a strict dress code for the Royal Enclosure and Queen Anne Enclosure. My friend that reminded me about the day has experienced both enclosures open to the public and in his opinion recommended the Queen Anne Enclosure which were the tickets I bought. 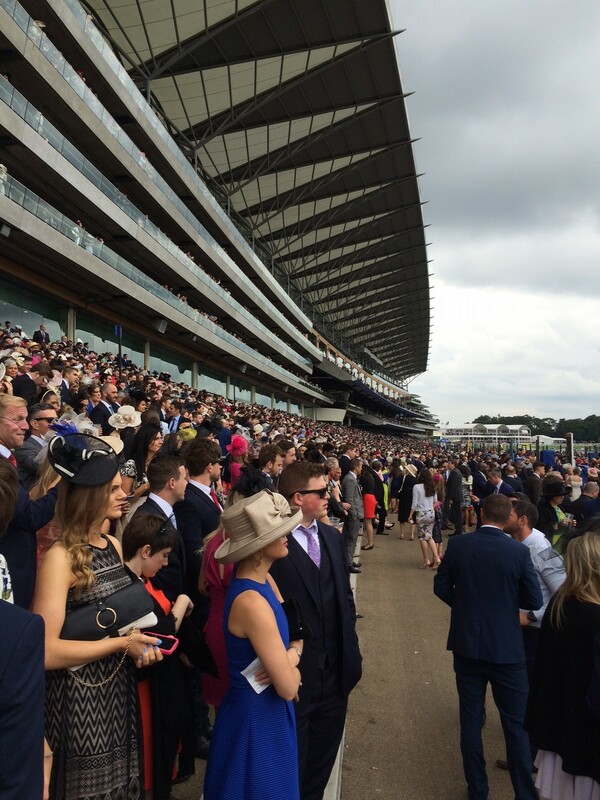 Read further on for my 5 tips for a great day out at The Royal Ascot. The racecourse opens at 10:30am and the horseraces start at 2:30pm. 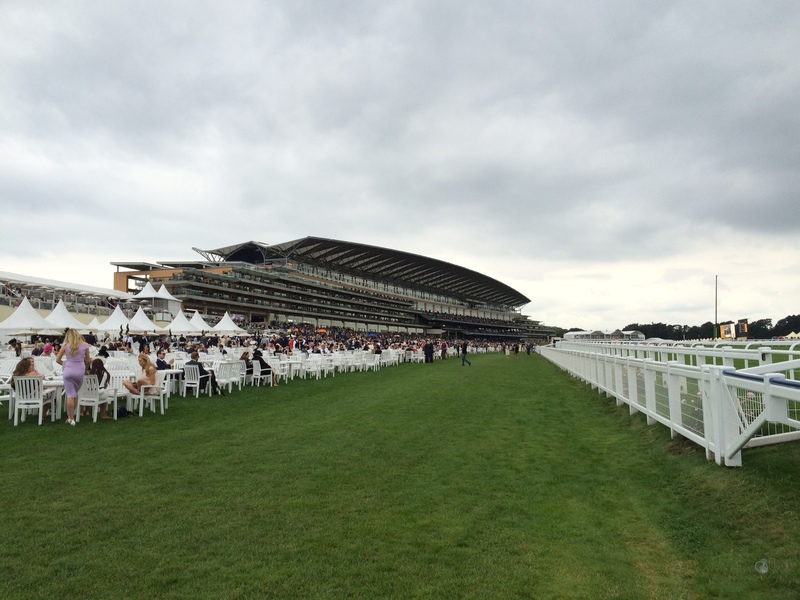 Plan your day so that you get to Ascot an hour or more before the races start. The train ride is about an hour from Waterloo station and gets extremely packed. The earlier you catch the train the better and you might be able to get a seat too. It’s about a 15 minute walk from Ascot station to the racecourse where there’ll be a security queue to get into your chosen ticketed area. If you want to get onto the stand to watch the races then you’ll need to get to the venue even earlier. Arriving earlier also allows you to settle in, get some drinks and start soaking in the atmosphere. The Queen Anne Enclosure has a strict dress code. Men are required to wear a matching suit with a shirt and tie. For women strapless or sheer strap dresses and tops are not permitted, midriffs must be covered and a hat, headpiece or fascinator should be worn at all times. The Windsor Enclosure does not enforce a dress code. This is one of those rare formal occasions to dress up so why not make an effort to follow the rules. It was my first time wearing a headpiece/fascinator and although I at first felt ridiculous wearing one it did go well with my outfit. Once you’re at the race course you don’t feel out of place at all as everyone makes such an effort to get dressed up. Bring flat shoes. It can be a long day of walking around in high heels treading on grass which can get tiring and rather annoying. Have a pair of flats or sandals in your bag that you can change into later. Also check the weather forecast beforehand as you may want to have an umbrella if you think you’re going to be outside most of the time rather than undercover. What is a day at the horse races without placing a bet? It definitely adds fun and excitement to the day watching the horse that you placed a bet on. It is not a cheap day out. The bars and restaurants are not that cheap so be prepared to spend a bit of money. This was our experience in the Queen Anne Enclosure. I’m not sure if it’s different in the Windsor Enclosure. In my opinion the day was worth the money spent. 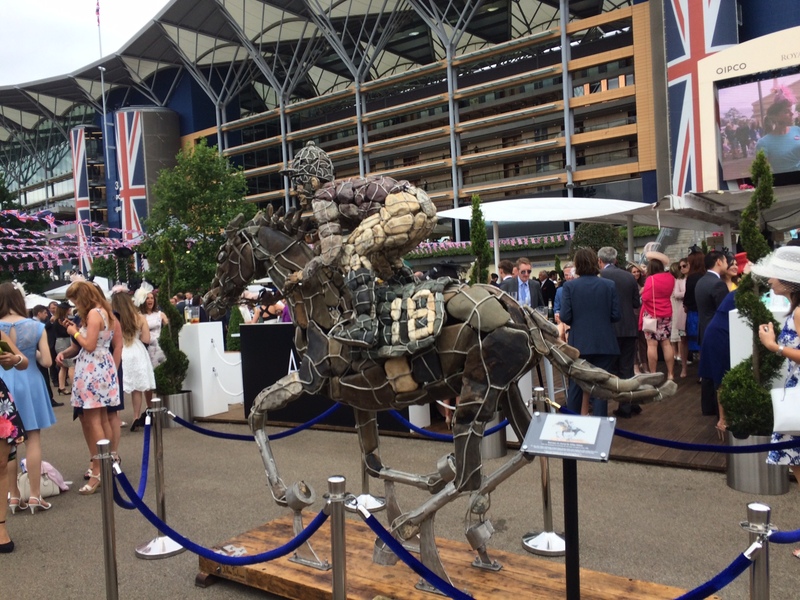 We had an absolutely amazing time at the Royal Ascot. It was a “very British” day out which was thankfully not spoilt by rain. As I mentioned before it’s not a cheap day out but I would still recommend it for a unique experience. 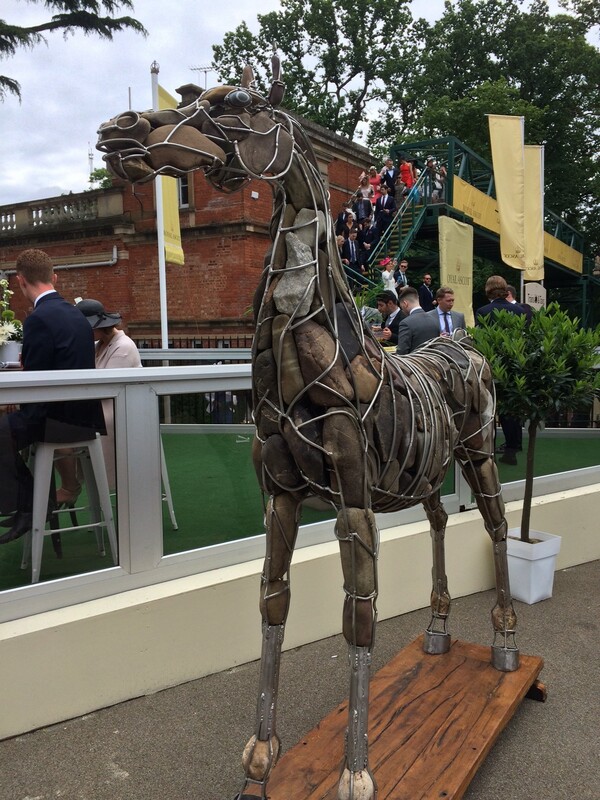 Have you been to the Royal Ascot or the horse races? How was your experience? I’d love to hear all about it in the comments. I have found your lovely description and the photos about Royal Ascot. I am happy to see that you love the sculptures displayed this year, from thé artistes Gilles Falisse. Thanks you again for your appreciation. I wish you all the best for new year.